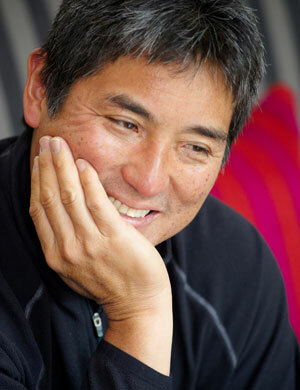 Yesterday, the team here at Network for Good had a fantastic webinar with technology guru Guy Kawasaki. He provided his top ten social media tips for nonprofits. They are well worth sharing. In the meantime, here’s a quick summary of the wisdom he shared. 1. Start Yesterday: Begin soliciting support through social media action immediately. The day you have an idea is when you should start with a tweet or blog. People – Facebook. People go to Facebook to connect with people they know. It’s about pre-existing relationships. Perceptions – Twitter. Twitter is about sharing perceptions about what’s around us with the world. Passion – Google+. Guy believes people don’t go to Google+ for the same reason as Facebook – it’s less about who you know and more about sharing your passions widely. Pinning: Pinterest is for posting visuals. It’s about the medium more than the people. Pimping: LinkedIn. Guy apologized for the word choice but says he feels LinkedIn is for business connections and finding jobs. You can have success on any of these platforms, but you need to approach each with an understanding of its culture and purpose. 3. Make a Great Profile: Spend as much time as you can spare developing your nonprofit’s profile, finding great pictures for your avatar (person affected by your cause or an awesome high-res version of your organization’s logo) and generally establishing a compelling, attractive and interesting presence. 4. Curate and Link: You don’t have to do all the work of creating content! Curate and find links to other people’s interesting articles, video and photos that position your cause well. 90% of your posts should pertain to interesting things related to your cause – not simply self-produced self-promotion or self-serving calls to action. 5. Act Like NPR: Guy is a huge NPR fan (and was recently on Wait, Wait Don’t Tell Me, a dream of his). He says that’s why he doesn’t mind their pledge drives. He says if your nonprofit provides great content every day, people won’t mind when it’s time to promote your organization on social media to solicit funds, volunteers, etc. Your nonprofit will have “earned the right” to ask for help. People may even be happy to give! 6. Restrain Yourself: Limit self-promotion to 5% of what you say – the other 95% should be great content. This approach will yield more fans. 7. Add Bling: On every post, include a picture or video (that is properly credited to the person who created it). Visuals matter. 8. Respond: Commenting on what your followers say and joining conversations will take your nonprofit’s social media presence from interesting to passionate. 9. Stay Positive or Stay Silent: Remain positive or at the least neutral. Once negativity is introduced, your social media credibility will diminish. Avoid “trolls” (hecklers and contrarians). Stay relentlessly constructive and don’t go round after round to argue points. 10. Repeat: If the content is truly superior, don’t be afraid to repost and repurpose. People rarely see everything you say or do, so it’s okay to circle back on something special. I hope these are helpful. And if you have time, I hope you can listen to the webinar. It’s great practical advice on how to take your nonprofit’s social media presence to the next level.